During World War II, Hixon was famously a base for RAF Bomber Command. The village, east of Stafford and south west of Uttoxeter, is much quieter these days, but a little less so this evening as the local pub celebrates its grand reopening. The Bank House opens its doors to the public once again on Friday 28 September after being partially and then fully closed over an eight week period for refurbishment. The older original part of the building as well as the newer extension have had a makeover and are looking fabulous ready to welcome guests. If you’re looking for a cosy place to while away your afternoons or evenings now that the weather has turned cooler, this is it. 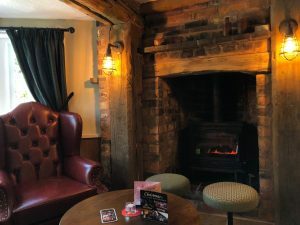 There are no fewer than two huge log burners casting out their warming glow, plenty of sumptuously upholstered seating, and beautiful wooden beams galore. There’s also a gallery wall of fascinating photos illustrating some of the history of the local area. 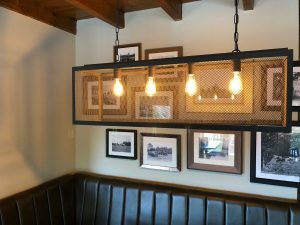 The decor is classic and refined, retaining the feel of a true country pub without feeling fussy or cluttered. And the courtyard at the back has been transformed into an outdoor room featuring a custom-built wood fired pizza oven and more wooden beams decked out in fairy lights. 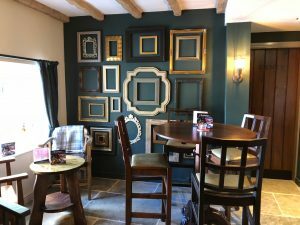 The Lewis Partnership pub has a new main menu alongside the delicious wood fired pizza that’s now on offer, freshly made to order and available to take away. We were big fans of the Three Little Pigs, featuring chorizo, pulled pork, bacon and red onion on a BBQ base, but for vegetarians the Fun-Guy (mushroom, ricotta, pumpkin seeds and chilli flakes on a garlic butter base) is delicious too. 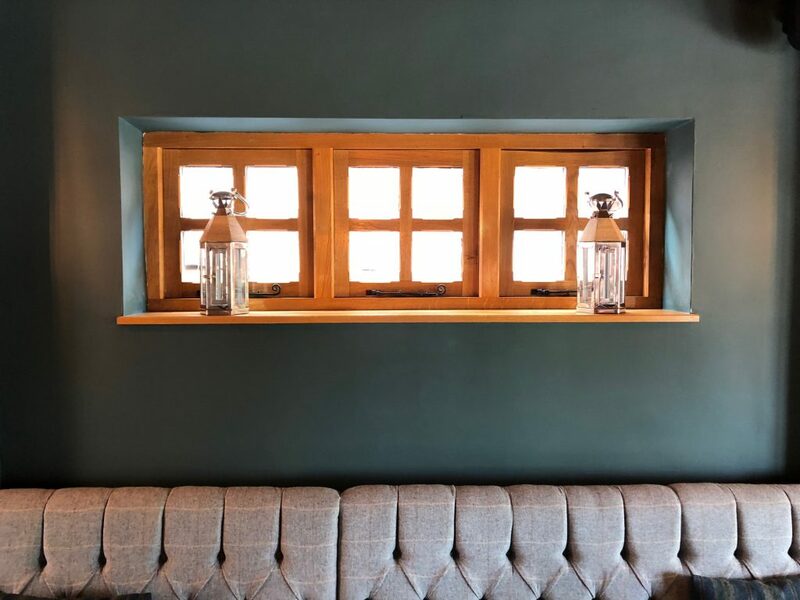 If you’re looking for a cosy, friendly pub in the heart of Staffordshire, be sure to pay The Bank House Hixon a visit this autumn.